Blue Reef Sport and Fishing Lodge offers a great and unique sport program in Zanzibar. During your holiday you can easily stay in shape while enjoying the beauty of Zanzibar with delicious and healthy food and a sunny climate. If you have a goal during your holiday we can help you to make it true! 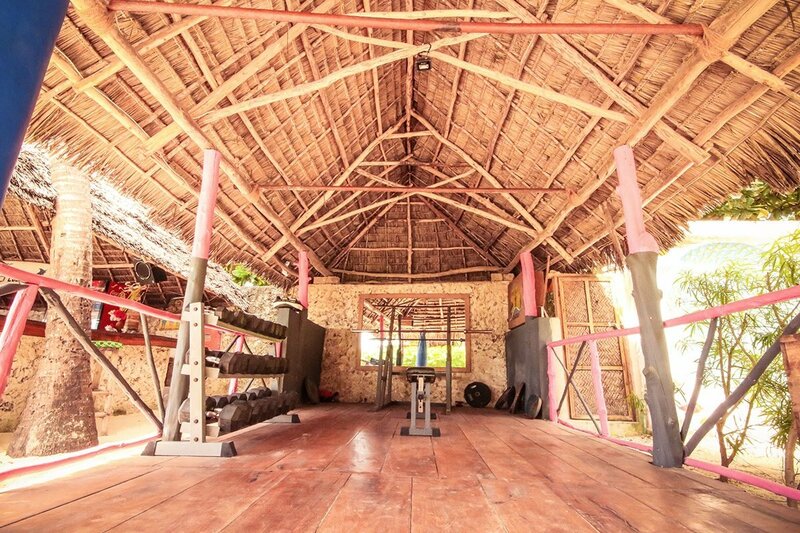 We have an (outdoor) gym where you can train individually or under supervision of a personal trainer. It is possible to book a personal training session which will be led by Thomas Boer. Personal wishes and demands can be combined to a comprehensive coherent package. All sport activities will be supervised by Thomas Boer. Thomas ran his own sport business in Holland for almost 10 years and he was employed as a national trainer for the Dutch judo team. He led several athletes to the highest international level. Besides that he focussed on coaching people with respect to lifestyle, power training, conditioning and dietary advise. Complete your program with a delightful massage! Kite surfing is booming! With plenty of wind and turquoise sandy bottom lagoons the east coast of Zanzibar is an ideal location for all levels of competence. 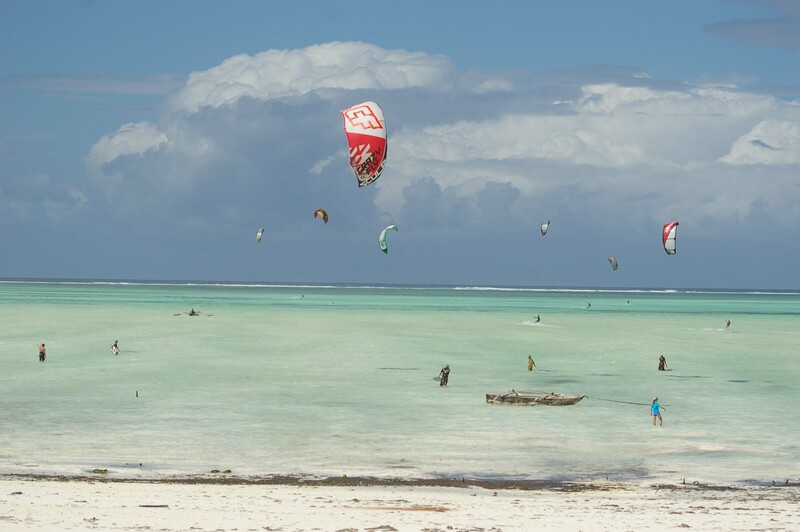 Just a few steps away from your room at Blue Reef you can start kiting! The best months, as the windiest, are June to September and December to February. We work in cooperation with our partner, who offers lessons for all levels of competence. We are sure you will have fun! Stand up paddling is possible in the mangroves. Ideal trip to combine with the famous restaurant “THE ROCK”.